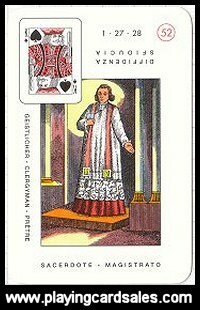 Every card has an old-fashioned image in colour with upright and reversed meanings in Italian. Meanings in German, English and French shown down the left-hand side of each card. 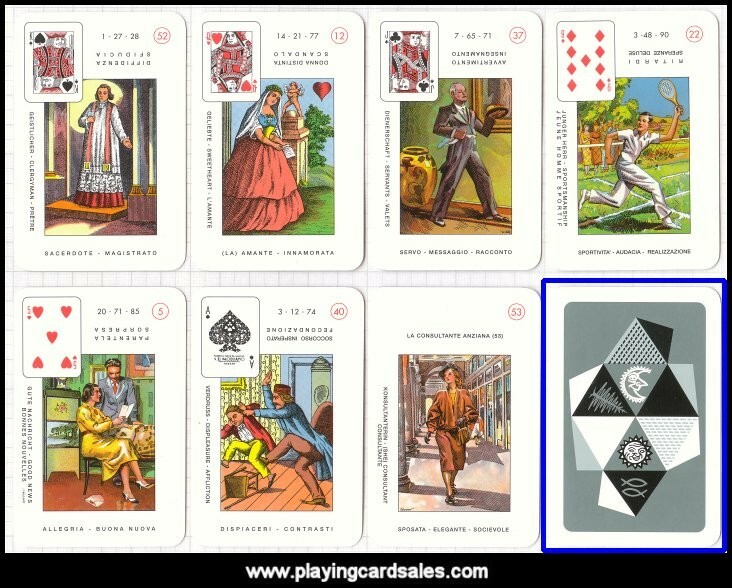 Miniature standard English pattern card shown in the top left-hand corner of each card.